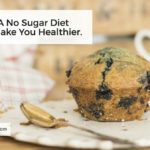 Unless you’ve recently arrived from a distant planet in some parallel universe, chances are you’ve come across the No Sugar Diet. In fact, like me, you might have even given the whole sugar free trend a whirl yourself in an attempt to solve all your health related woes. I know that back when I attempted to kick my sweet, yet toxic “addiction” for sugar, I was dead set that the white stuff was making me feel lethargic, tired, and fat, and that the only cure to all this was to cut it out of my diet once and for all. 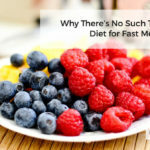 I mean, all the dieting gurus were telling me just how toxic, fattening, and addictive sugar was, so naturally I felt as though I was crippling my body by feeding it the stuff. What if we’ve all been misled about sugar though? What if sugar isn’t actually the dieting devil it’s often made out to be? And what if a no sugar diet will actually make you more unhealthy in the long run? Those questions might seem undeniably false to you right now, but today I’m going to be questioning your beliefs and digging into the scientific research to answer them. 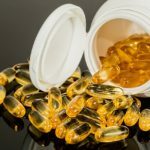 Is Fish Oil A Scam? F*ckin’ remarkable things here. I am very satisfied to see your post. Thank you a lot and i am looking forward to contact you. Will you please drop me a e-mail? Very interesting subject , regards for putting up. “There are several good protections against temptations, but the surest is cowardice.” by Mark Twain. I simply want to say I am just very new to blogs and absolutely loved this web site. Probably I’m want to bookmark your blog . You definitely have great stories. Thanks a lot for sharing your webpage. Have You Been Lied To About Calories?